Our service is socially-relaxed but spiritually-focused. Our worship services seek to please God, an audience of One, with Biblical and yet practical application so that you can live victoriously everyday for His glory. Comfortably! We want you to come as you are and be yourself. This means that if you worship God more freely by dressing casual then that is acceptable to us. It also means that if something more formal helps you focus and prepare for worship then please do so. Our focus is not on what you wear but on whether you are worshipping God and fellowshipping with others. Will you be singled out as a newcomer? No, you will not. It’s up to you to identify yourself as a newcomer. We welcome our visitors and want them to feel comfortable and at ease worshipping with us, so we do not single them out by asking them to introduce themselves. Absolutely! Between services we offer coffee (both regular and decaf) and tea. Please stop by our cafe in the lobby and have a cup on us. Do we offer anything for your children? We do offer a nursery for infants – 2-year olds as well as pre-school, elementary and youth classes. Please visit our Kid's Ministry section to find out more information. 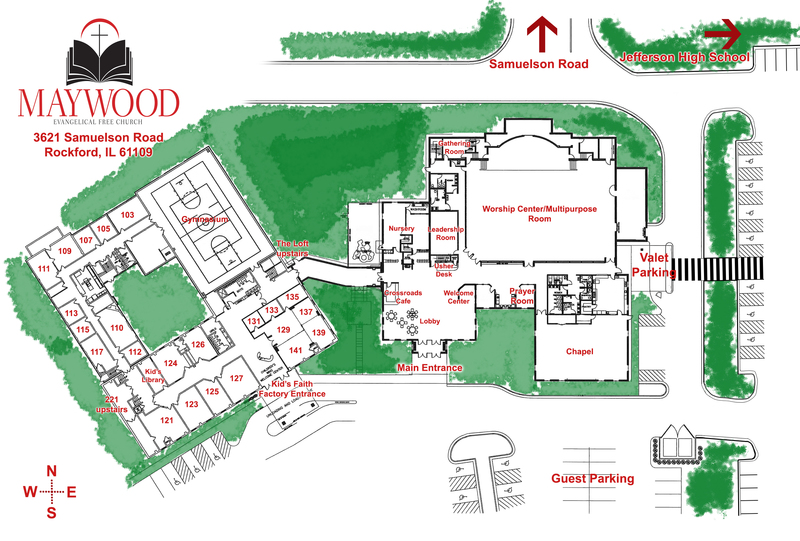 Maywood is a Bible-centered, Christ-focused congregation affiliated with the Evangelical Free Church of America (EFCA). The EFCA is an association of nearly 1,300 autonomous churches united by a mutual commitment to serve our Lord Jesus Christ. The growing ministry of the EFCA currently extends to some 45 countries of the world. Can you listen to the service online? Yes. Each week we upload our video and audio recordings of the messages that are spoken at our church. Click on “Sermons” under the Media menu tab. You can also live stream our services each week here.